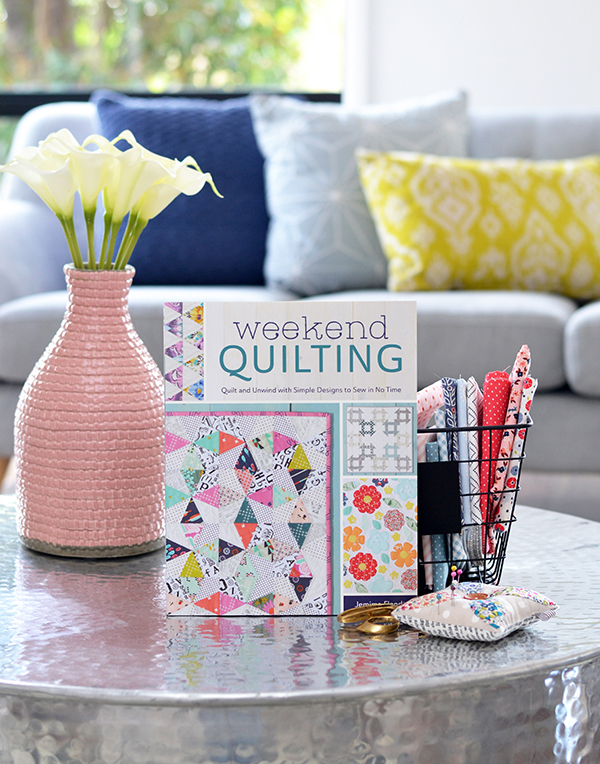 I'm very excited as I write this post as it's my turn on my lovely friend (and fellow Aussie designer) Jemima's showcase for her first book, "Weekend Quilting"! 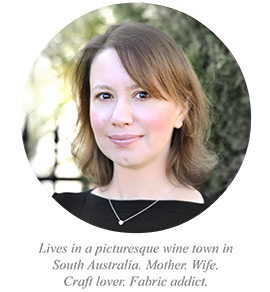 Jemima is also known as @tiedwitharibbon on social media - if you haven't discovered her yet pop over to her Instagram / Facebook to have a look. Her designs are ever so sweet. Let me tell you, this book is brimming with quilting methods and technique, and it's a great investment for a beginner quilter - wish I had it in my library when I was learning. 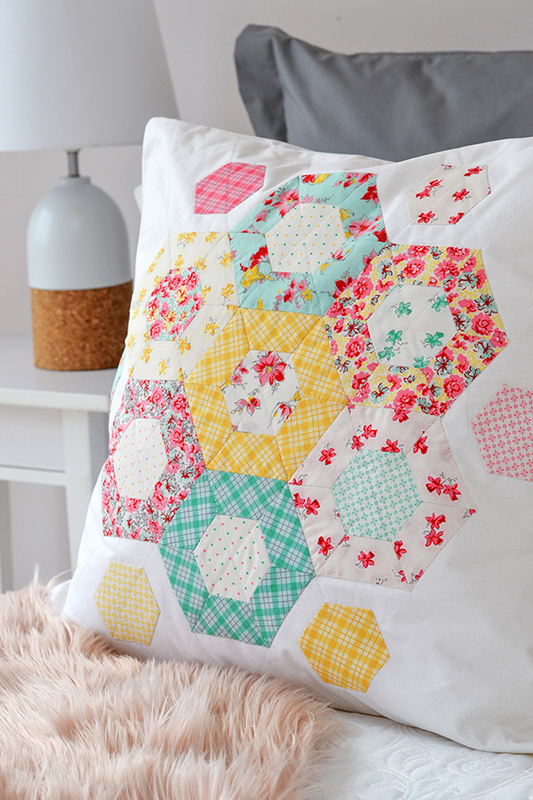 There is also lots of inspiration and exciting designs for the experienced quilter. 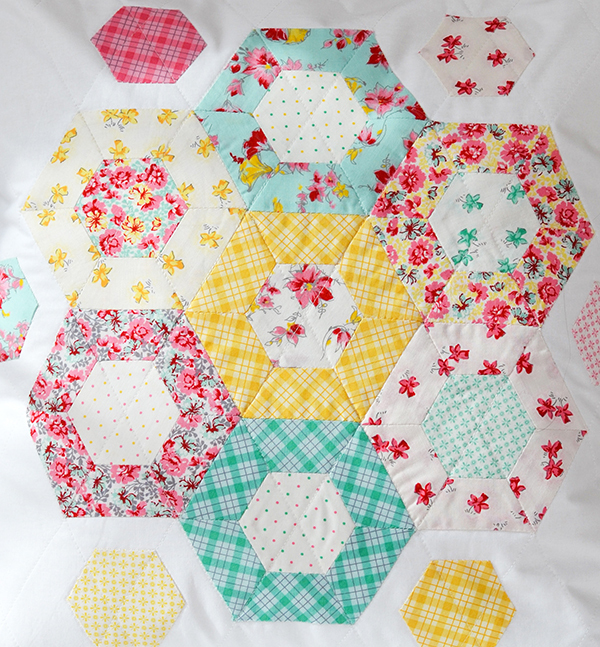 So many pretty designs to choose from, and opportunity to practice different techniques, from patchwork to foundation paper piecing, from applique to EPP, So much variety! 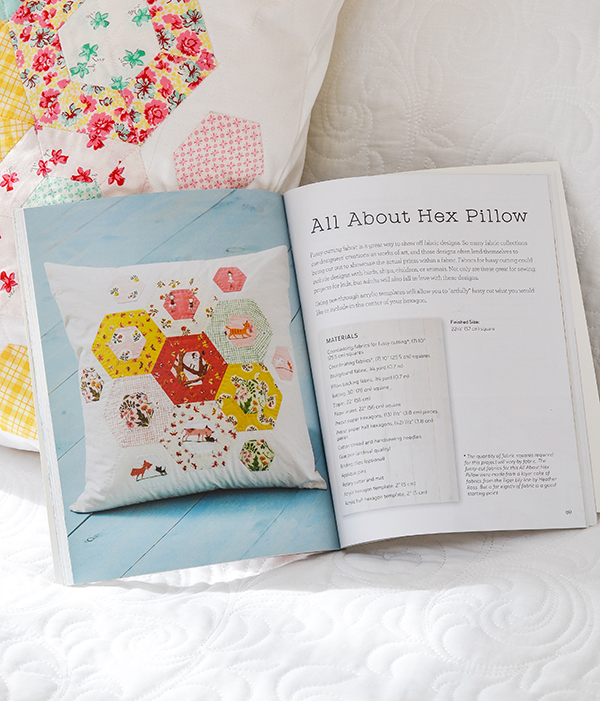 For my showcase project I selected 'All About Hex Pillow', an English paper pieced cushion. So simple, and yet so effective - and so quick to make. Great for fussy cutting lovers too. The pretty fabric I used is a new collection by Penny Rose Fabrics called 'Lily', designed by Sue Penn. I literally gasped when I saw it in the catalogue. I hope you liked my pillow. 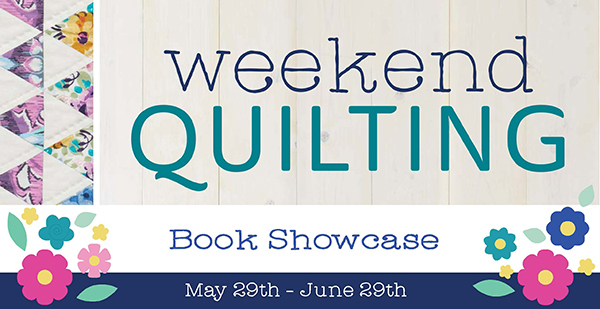 To see more projects made from the book you can visit other bloggers participating in the showcase - here's the full list. Enjoy! 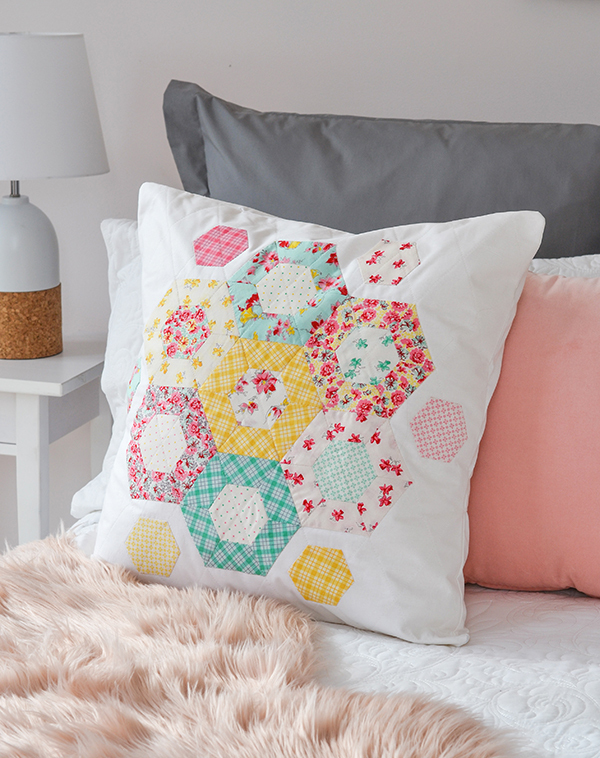 Love your pillow - the fabrics you picked are so delicate!!! 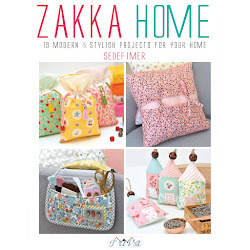 Sedef, your projects always make me smile! The pillow is so sweet and just looks dreamy on the bed! Great work, as always. 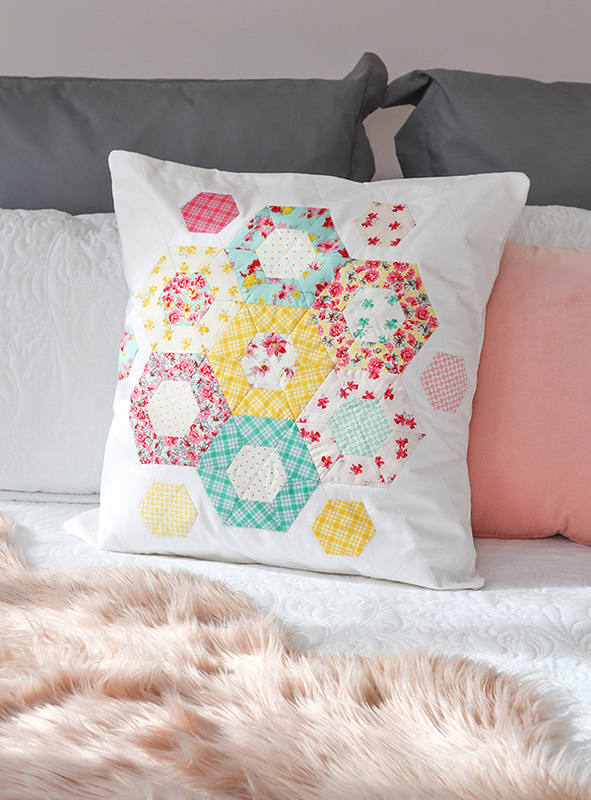 Fantastic pillow, I love the way the side hexies seem to float. Great! This is a interesting read. It's a very useful and informative information for me. Thanks for sharing this useful information... you can try this out soon after you have decided to buy and use the most excellent affordable bed pillows.